Here is a great document from the end of the Civil War. 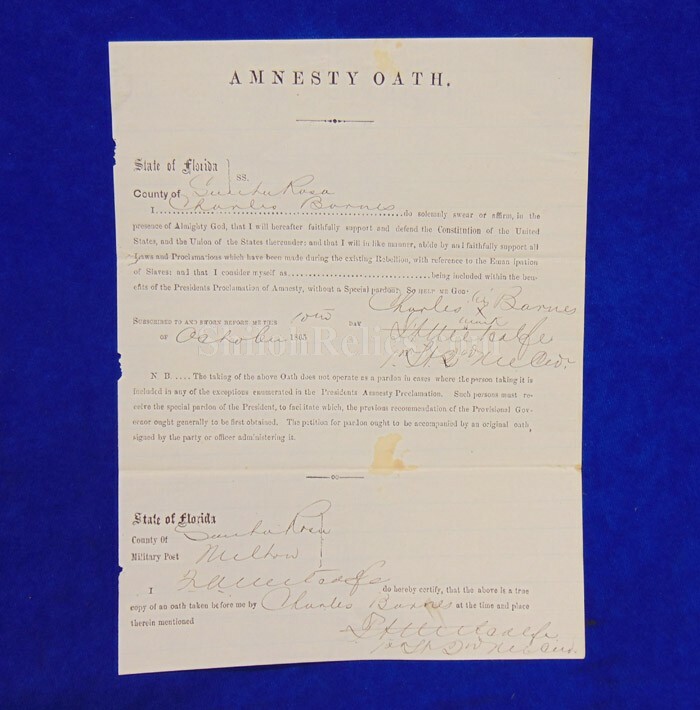 This is an original Amnesty Oath from the state of Florida. This is a document that many of the states required citizens to sign stating that they would support and defend the United States and many of them such as this one included the phrase "I faithfully support laws and proclamations which have been made during the existing rebellion, with reference to the Emancipation of slaves." 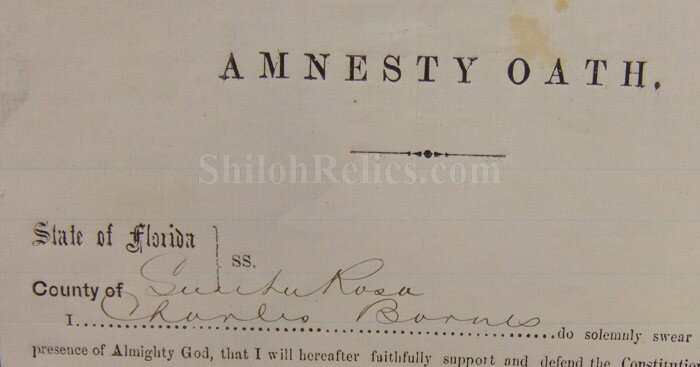 this one is dated from October 10, 1865 and is from Santa Rosa County, Florida. The man signing the oath or more accurately applying his marked "X" which meant he wasn't able to write, is Charles Barnes who served as 1st Lieut. of the 2nd Maine Cavalry. The records show that he enlisted as a private in the 2nd Maine Cavalry on December 24, 1863. It also shows that he mustered out of service on December 6, 1865 at the Barancas, Florida. The document measures 7 1/2 inches wide and is 9 7/8 inches tall. 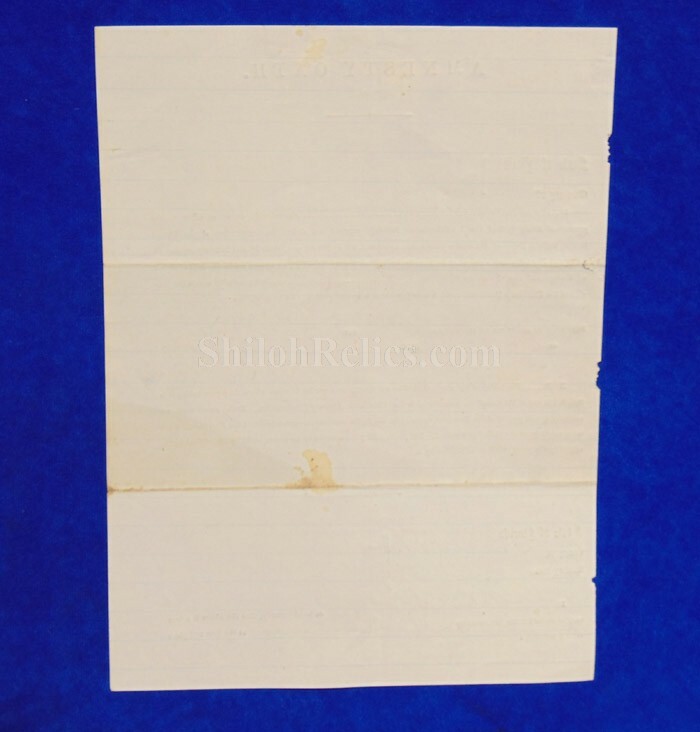 It is on preprinted high-quality paper with the blanks being filled in using find Brown ink. A wonderful piece of history from the sunshine state.